The Regional Protection Support Unit of the UN Refugee Agancy seeks an intern to start by beginning February 2017 in Brussels for a six-month unpaid internship. The Office of the United Nations High Commissioner for Refugees offers assistance and protection to refugees around the world. UNHCR is one of the largest refugee agencies, with a staff of 10.700 employees who help some 65 million people in over 128 countries. The Protection Unit for Belgium and Luxembourg seeks a legal intern for a six-month unpaid internship. This programme is offered by the Institute for Human Rights and the Faculty of Social Sciences, Business and Economics at Åbo Akademi University. The Institute is an internationally renowned academic institute which specializes in advanced human rights research and provision of education. The Master’s Degree Programme in International Human Rights Law is designed to prepare its graduates for challenging human rights careers in international organizations, non-governmental organizations and public administration. It will also provide the requisite background for advanced human rights law research. Successful completion of this two-year full-time programme results in the award of a Master of Social Sciences (M. Soc. Sc.) degree. On 14 November Utrecht University will launch a new MOOC about ‘Human Rights for Open Societies - An Introduction to the European Convention on Human Rights’. This MOOC (Massive Open Online Course) will be offered on Coursera. Antoine Buyse, Professor of Human Rights and Janneke Gerards, Professor of Fundamental Rights Law, both at the Netherlands Institute of Human Rights (SIM) and connected to the strategic research theme Institutions for Open Societies of Utrecht University, will offer the participants an introduction to one of the world’s most intricate human rights systems: the European Convention on Human Rights. This human rights treaty is one of the most successful tools for protecting human dignity, and it is a crucial tool to achieving an open society. • Priorities in a Human Rights External Strategy. The programme and the application form are available here. 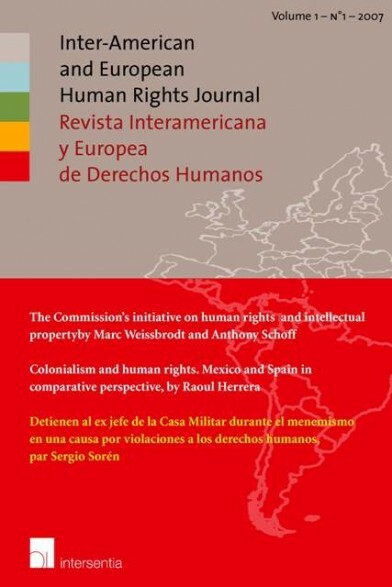 The Inter-American & European Human Rights Journal (IAEHRJ) aims to offer an international platform for research in the field of human rights of relevance for (Latin) America, Europe and Africa. Situated on the crossroads between the continents, the Journal is well-placed to be a venue of critical analysis from scholars and practitioners in the field of human rights. Established in 2007, the IAEHRJ has been internationally growing as a reputable reference within the academic world and outside, distinguishing itself for its quality and interdisciplinary character that has attracted the interest of authors from all over the globe. For its 2017/1 Issue the IAEHRJ proposes the theme of 'Migration and Human Rights'. More than two hundred million people currently live outside their country of origin. Migration flows comprise workers, asylum seekers, students, undocumented migrants and others. In a globalised world defined by deep disparities, skill shortages, demographic imbalances, climate change as well as economic and political crises, natural and man-made disasters, migration has been affecting every society and every region of the world. Migration is therefore a human phenomenon inherent in the international community, and as such, it requires a human rights approach which situates the migrant at the centre of migration management. The universality of human rights is in fact challenged in the context of migration: asylum seekers may be deprived of access to refugee status and consequent secondary rights, migrants may not enjoy the same rights as nationals, and undocumented migrants may be deprived of access to even basic human rights. International human rights law systems are thus called on to assure that any person has access to fundamental rights. A human rights based approach to migration is required to analyse inequalities which lie at the heart of migration problems and redress discriminatory practices and unjust distributions of power that impede respect of migrants. This promotes empowering migrants to participate in policy formulation and hold accountable those who have a duty to act. The health of migrants and health matters associated with migration are crucial public challenges faced by governments and societies. It is expected that contributions on this topic unravel issues including the interpretation and enforcement of the right to health of migrants and their access to healthcare, including also the underlying determinants of health. Migration and development are interdependent processes. Migration in the development context relates both to people who have chosen to move of their own accord, and forced migrants. It is expected that contributions on this topic explore issues including socio-economic and cultural rights of migrants, inclusion/integration of migrants in host societies and their contribution to economic, social and cultural development of societies in the country of origin. In M.S.S. v. Belgium and Greece (2011) the European Court of Human Rights stressed that asylum seekers are a special vulnerable group. Indeed migrants in general can find themselves in a situation of vulnerability due to different factors: rejection of asylum application; expirations of residence permit, lack of an effective remedy, detention, forced returns. It is expected that contributions on this topic disclose to what extent and how vulnerability is recognized in the context of migration and to look at the consequences of this vulnerability and possible remedies. Abstracts of no more than 300 words, including a short biographical sketch of the author with e-mail address and affiliation, must be submitted in English or Spanish in PDF format to ugenthrc@yahoo.com by 31 August 2016. Authors must state clearly in their abstract the research question(s) that they would like to address and indicate to which of the three proposed topics their abstracts relate. Please also mention 'Call for Issue 1/2017' in the e-mail subject. Outcomes of the selection will be notified to the authors by 15 September 2016. Authors of selected abstracts will be required to send a full article that should not exceed 10.000 words in length, including footnotes, by 30 November 2016. All manuscripts must conform with the author guidelines of the Journal. Submissions must not be previously-published or submitted for publication elsewhere in order to be considered for inclusion in this volume. Questions about this call can be directed to Clara Burbano Herrera, Editor in Chief, Inter-American & European Human Rights Journal at Clara.BurbanoHerrera@UGent.be or Salvo Nicolosi at Salvo.Nicolosi@UGent.be. This exciting course, organized by the Center for Law, Justice and Society (Dejusticia) and the Global School of Social Rights, offers advanced training in litigation, research, law and innovative strategies for implementing social rights. The training will be guided by academics and jurists who are recognized in Latin America and other regions, providing conceptual, doctrinal and socio-legal tools to understand and promote the implementation of social and economic rights nationally, regionally and globally. The course is part of the series of the Global School of Social Rights, which is held in different regions of the world. The course will be taught in Spanish and will include plenary sessions, discussions in small groups based on the interests of students, and a simulation exercise. It is aimed at graduate students, activists, litigants, academics, judges and public policy makers. The registration fee is $800 USD per participant, which includes the cost of registration, course materials and coffee, a welcome dinner and a farewell event. Participants are responsible for any other expenses. Once your participation in the course has been con_rmed, registration fees must be paid by August 31, 2016. After this date, participants who have paid, but for some reason can no longer participate, can apply for a refund. All refund requests will be charged a $100 USD administrative handling fee. There are 10 partial scholarships to cover the cost of tuition, travel, and or stay. Applicants who wish to be considered for these scholarships must submit a letter of recommendation and indicate the reasons for requiring financial assistance. Scholarships will be prioritized for applicants from Latin America, Africa and Southeast Asia with experience in social activism and community work. The Summer Course is a joint effort of the University of Barcelona and the Middlesex University and will take place in Barcelona. The course is designed to provide participants with an understanding of the current refugee crisis , which will be examined from a range of disciplinary perspectives including law, sociology and political science. Classes will be given by professors and professionals in the field of refugee, asylum and migration from different European universities and organizations and will be complemented by practical exercises, debates and research work. All classes will be in English. At the end of the course, participants will be asked to write a report and will receive a certificate of participation. The objective of this exciting programme organised by the Human Rights Law Centre of the University of Nottingham is to consider issues concerning the rights of the child that are a matter of current legal, political and societal attention, both internationally and comparatively. These include violence against children, refugee children, child participation, child poverty, business and children's rights, and child rights monitoring and advocacy. The Summer School will examine international and regional child rights law, including the work of the international courts and treaty monitoring bodies mandated to consider violations of the rights of the child. The Summer School is strongly participatory. The training methods include Q and A and group exercises. The working language for the Summer School is English. All participants will receive an extensive electronic file of resource materials. The Summer School faculty for 2016 are all highly experienced international experts on child rights, with backgrounds in advocacy, research and practice. Institut de Drets Humans de Catalunya (IDHC) has developed the course 'Introduction to International Protection of Human Rights'. It is a virtual course taught in English about the internationalization of human rights and the main systems of protection at the international level. La Faculté de droit, la Fédération de Recherche L’Europe en mutation et l’Ecole doctorale 101 de l’Université de Strasbourg organisent du 29 août au 2 septembre 2016 une école d’été sur le thème 'Le secret'. Alors que le secret apparaît protecteur dans la sphère privée, il est contesté dans la sphère publique. La transparence est aujourd’hui considérée comme une vertu cardinale des sociétés démocratiques, y compris dans le domaine du droit dans lequel apparaissent des exigences relatives à l’obligation de transparence opposées aux autorités publiques. Le secret est de plus en plus souvent traité comme une dissimulation néfaste ou suspecte, quand bien même il pourrait être légitime et nécessaire à la protection d’intérêts fondamentaux. The International Criminal Court is arguably the most important international institution since the establishment of the United Nations. The aim of the International Criminal Court is to combat impunity for atrocities and it is at the forefront of a broader movement for achieving accountability. The ICC Summer School at the Irish Centre for Human Rights at the National University of Ireland Galway is the premier summer school on the International Criminal Court. The summer school takes place over five days and includes intensive lectures by leading specialists on the subject as well as social activities. This interactive and stimulating course is suited to postgraduate students, legal professionals, scholars and NGO workers. Participants are provided with a detailed working knowledge of the establishment of the Court, its structures and operations, and the applicable law. Lectures also speak to related issues in international criminal law, including: genocide, war crimes, crimes against humanity, the crime of aggression, jurisdiction, fair trial rights, and the rules of procedure and evidence. This year’s ICC Summer School will include a special session on victims at the International Criminal Court. Please note that a limited number of scholarships are available. More information can be found on our General Information page. Poznań Human Rights Center and Adam Mickiewicz University are pleased to announce the 25th edition of the Summer Course that will take place in Poznań on 22-31 August 2016. The programme focuses on legal aspects of the situation of refugees and migrants – a problem of growing importance in both Europe and worldwide. It has both an academic profile and aims to develop practical skills. More information information can be found on the Poznań Human Rights Center website. • An examination of the evidence, including big data, that human rights contribute to health gains. The studentship will be under the supervision of Professor Paul Hunt and Dr Linsey McGoey. Professor Sonia Bhalotra will also provide guidance and support. The successful candidate will work with their supervisors and the Work Stream Team to develop their precise PhD project. Funding packages are available, subject to eligibility. More information about the studentship can be found on the Human Rights, Big Data and Technology Project website. The Institute for Human Rights of the Åbo Akademi University organises the Advanced Course on Justiciability of Economic, Social and Cultural Rights in cooperation with the Socio-Economic Rights and Administrative Justice Project, University of Stellenbosch Law Faculty, South Africa, and the Norwegian Centre for Human Rights at the University of Oslo. 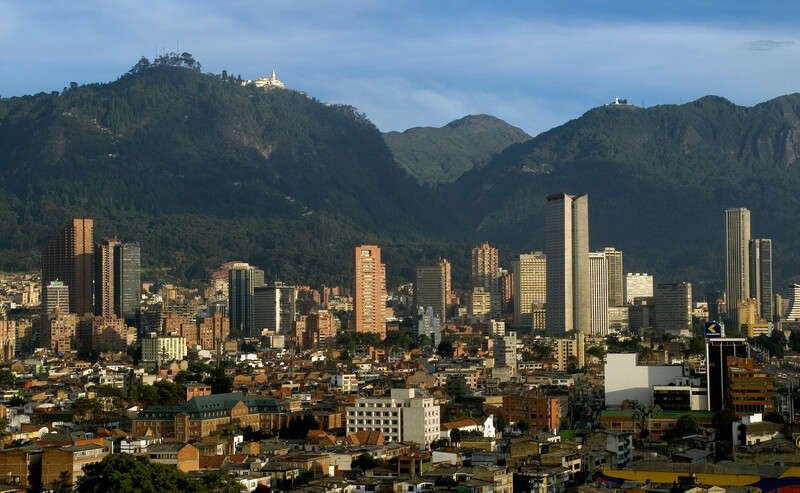 The course is part of the programme of the Global School on Socio-economic Rights. This one-week intensive course offers participants an opportunity to develop specialist-level knowledge in the field of economic, social and cultural rights (ESC rights), with a particular focus on justiciability at the national, regional and international level. 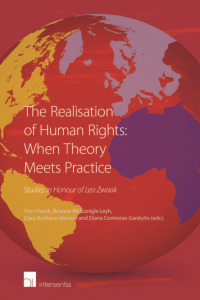 It draws on a wealth of material from across the world in order to analyse existing institutionalised practices of interpretation and implementation of ESC rights, and focuses on theoretical questions and practical issues, such as effective strategies and the impact of adjudication. The course is conducted in English, and is composed of lectures, seminars, group discussions and assignments, participant case analyses and an optional written examination. The McGill Centre for Human Rights and Legal Pluralism is a focal point for innovative legal and interdisciplinary research, dialogue, and outreach on human rights and legal pluralism. The Centre's mission is to provide students, professors and the larger community with a locus of intellectual and physical resources for engaging critically with how law impacts upon some of the most compelling social problems of our modern era. The Centre is delighted to be able to offer two Postdoctoral Research Fellowships beginning in the 2016-2017 academic year. The vision and generosity of the Steinberg Foundation is at the heart of this new and exciting opportunity. The Postdoctoral Research Fellowships will be funded by the Arnold and Blema Steinberg Foundation and the appointment(s) shall be for an initial duration of one year with a possibility of renewal for one more year. Starting a career in international human rights work can require more than just having the requisite passion, motivation and skills. The European Center for Constitutional and Human Rights (ECCHR) and the Kreuzberger Kinderstiftung, the scholarship sponsor, recognize this. There continue to be barriers to entry into the profession that go against the spirit of our work, i.e. when economic or social considerations prevent potential participants from taking part in our programs. With this in mind, the Kreuzberger Kinderstiftung scholarship for ECCHR’s Legal Training Program offers young people with limited financial means and/or from underrepresented geographic and social backgrounds the chance to gain professional experience in human rights work. Geneva has long been one of the world’s capitals of international law and the headquarters of international institutions dedicated to human rights. This inspiring context naturally has led to one of the core strengths of the University of Geneva to be within the domain of international human rights laws and policies. Inclusion Europe is the European Association of Persons with Intellectual Disabilities and their Families. The association fights for equal rights and full inclusion of people with intellectual disabilities and their families in all aspects of life. Inclusion Europe has a vacancy for a Policy Officer. Registration is now open for the biggest Summer School in the world with a focus on the UN Convention on the Rights of Persons with Disabilities. This year the School will focus on many examples of creativity in civil society throughout the world in making the most of the ‘new politics of disability’ for change made possible by the UN disability treaty. It will explore examples of how civil society is using the convention to bring about change, how civil society is achieving higher impact by working through and with other agents of change including human rights commissions and new university-based legal clinics. Examples will come from Peru, Georgia, Argentina, China and more. And it will also examine the new more restrictive environment throughout the world for civil society and its implications for disability DPOs. As is usual, the Summer School will also expose the participants to the basics of the Convention and how it can be used on the ground. The Summer School will also feature its popular Moot Court exercise which will be presided over by a member of the Irish Supreme Court. This Master’s Degree, taught in English, provides students with the knowledge and skills required to protect and promote human rights in multi-level governance contexts. Students learn how to analyse, assess and manage complex political and socio-economic phenomena and their impact on the fundamental rights of all persons, mainly the most vulnerable ones. 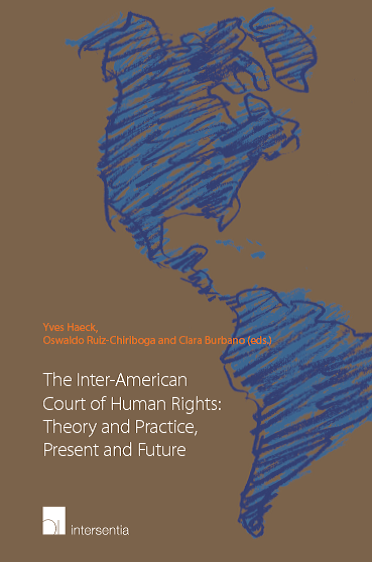 The scientific and value-based paradigm adopted is rooted in the principles of the international law of human rights, according to a transnational and transcultural approach. The curriculum is inherently multi-disciplinary and nurtures students’ interdisciplinary abilities. All the information about the MA Course, including the admission procedures and deadlines are available here. The Netherlands Committee of Jurists for Human Rights (NJCM) is the Dutch section of the International Commission of Jurists (ICJ). It seeks to promote and protect human rights in the Netherlands. The NJCM critically monitors legislation and policy in the Netherlands, including foreign policy, for compliance with national, European and international human rights standards. When necessary the NJCM writes commentaries on national policy documents and draft legislation to lobby for human rights protection in Parliament. In May 2014 the NJCM started with the Public Interest Litigation Project (PILP). This is a two-year pilot with which NJCM explores the possibilities of strategic litigation in the field of human rights in the Netherlands. PILP is looking for a Project Assistant (4/5). The Human Rights, Big Data and Technology Project, housed at the Human Rights Centre of the University of Essex, is seeking to recruit a senior research officer to work on a new project on the human rights implications of ICT and big data. Fair Trials is an international human rights NGO, which exists to build respect for the human right to a fair trial in criminal cases. It pursues its vision of a world where every person’s right to a fair trial is respected by: providing information and referrals to accused people; coordinating a growing network of fair trial defenders and delivering legal training; and tackling the big issues in criminal justice through research, campaigns, policy work and litigation. Fair Trials currently has a vacancy for a full time Legal and Policy Officer. with the Grotius Centre for International Legal Studies of Leiden University, provides in-depth understanding, discussion and training in theory and practice of International Criminal Law. This year’s session focuses on International Criminal Justice, Migration and Human Trafficking. The Netherlands Institute of Human Rights (SIM) is a research institute of the Utrecht University School of Law and offers internationally oriented study programmes, conducts interdisciplinary research and organises a range of activities in the field of human rights. Privacy International is a London-based charity that investigates the secret world of government surveillance and exposes the companies enabling it. • To ensure that this right is universally respected, it strengthens the capacity of its partners in developing countries and works with international organisations to protect the most vulnerable. Want to volunteer for a charity that holds governments and companies to account on their intrusions into our private lives? Then apply to join Privacy International’s volunteer programme!